This 11-day event offers a charming detour from your usual Valentine’s Day exchanges of chocolates, flowers and teddy bears. Celebrating the beauty of words, the Briscoe encourages sweethearts and friends to put down their devices and correspond the old-fashioned way as part of its annual Pony Express Love Letters tradition. Named after America’s first transcontinental horseback mailing service, the completely free initiative invites museum guests to get creative in writing stations outfitted with vintage typewriters, writing materials and inspiring books of poetry. 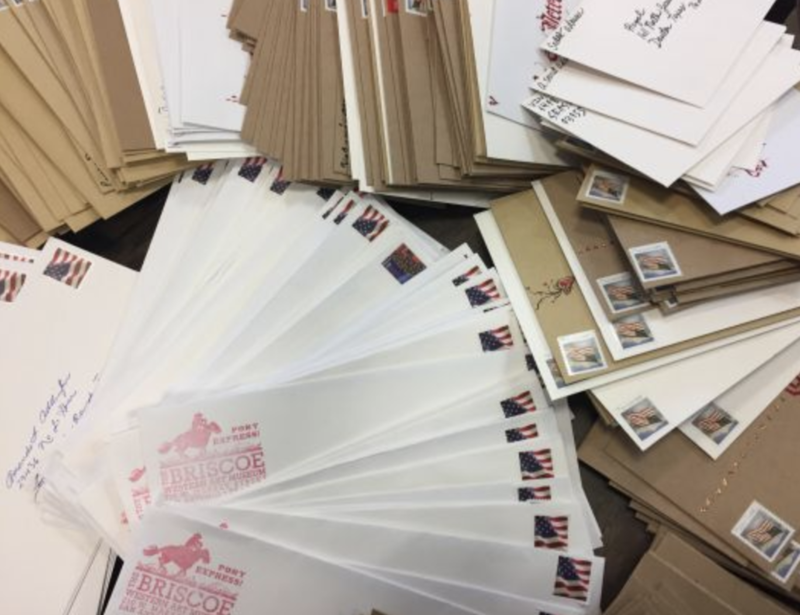 Members of the San Antonio Calligraphers’ Guild will be on hand to artfully address letters, which can be hand-delivered to recipients in the downtown area by “Pony Express” riders (volunteers from SATX Social Ride) or mailed elsewhere via the U.S. Postal Service — complete with a special Pony Express stamp.